We welcome our international website guests! We thank you for your interest in our quilt guild and are very happy that you are visiting our website. Its content is mostly in German. We hope that you will find the information you are looking for. If not, do not hesitate to write us an email. 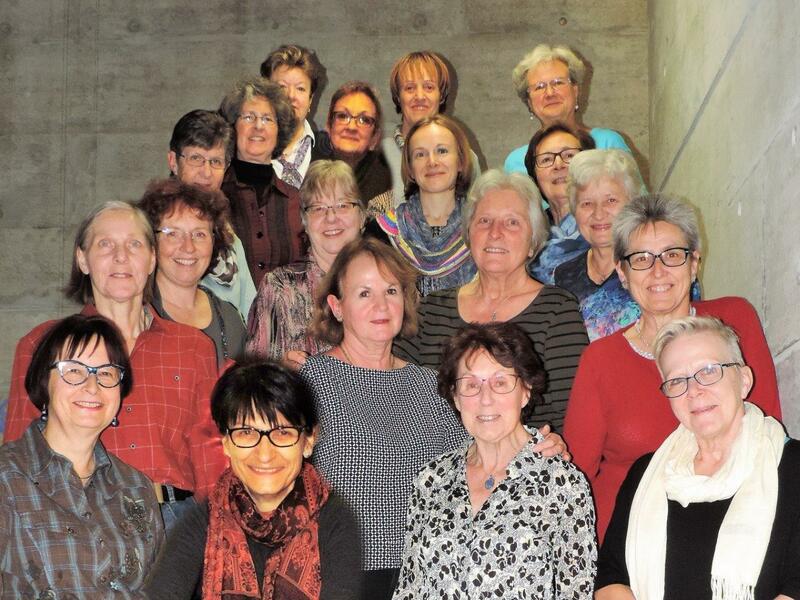 'Quiltgruppe Mönchaltorf' is an association with 20 members, founded in 1988. We meet once a month in a local school. We like to talk about our hobby, learn new techniques, look at own works or those of others ('show and tell' or on photos, digital shows), organise exhibitions or participate at various quilting events. In 2011 Erika met Leyette, a quilter from New Zealand. Together with the "Fencible Quilters of Howick", NZ and the "Nefti Quilters" from Neftenbach a total of 29 challenge quilts were produced. This challenge was exhibited in New Zealand and at our jubilee show in Mönchaltorf as well as at a Nefti Quilters show in Neftenbach, before the Kiwi quilts found their way home in 2014. Mönchaltorf is a village with about 4'000 inhabitants, embedded in the 'Zürcher Oberland', adjacent to lake 'Greifensee', at a distance of 25 km from Zürich. Here you find us on the map. Group picture with all active members taken at our Christmas event 2017.